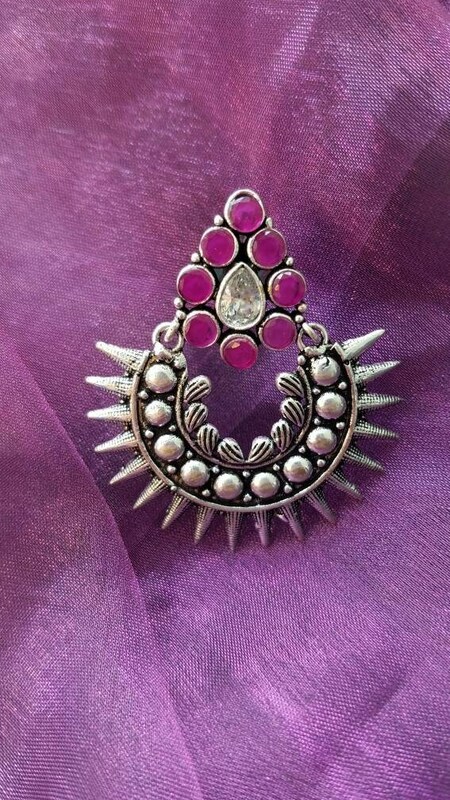 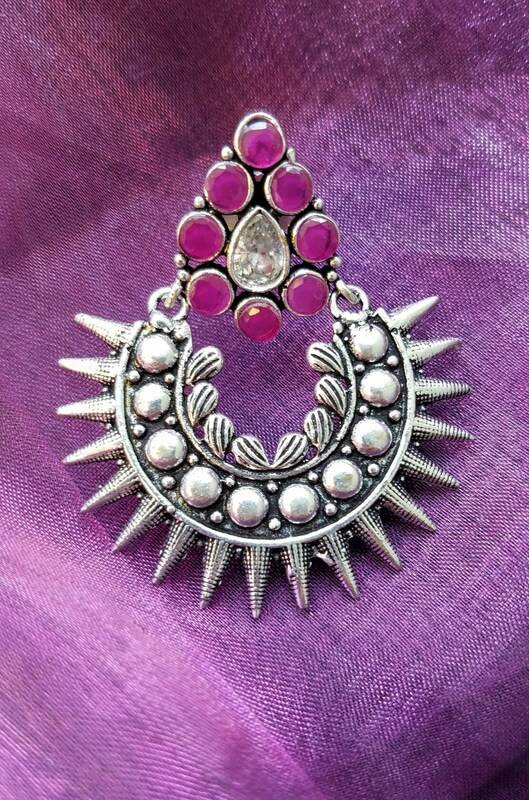 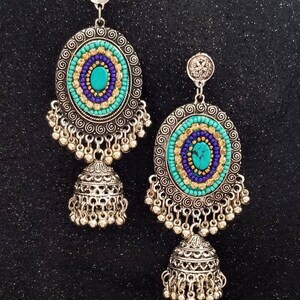 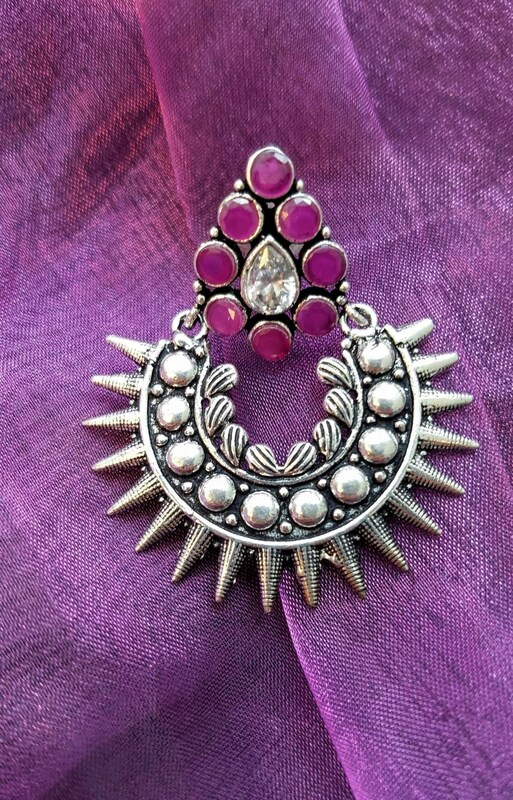 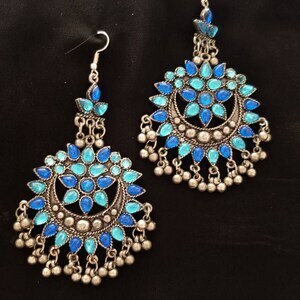 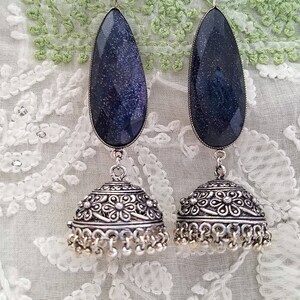 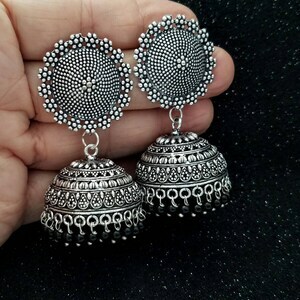 Handmade Indian boho earrings in art deco starburst design in oxidized or blackened silver so as to give the patina of a vintage tribal piece. 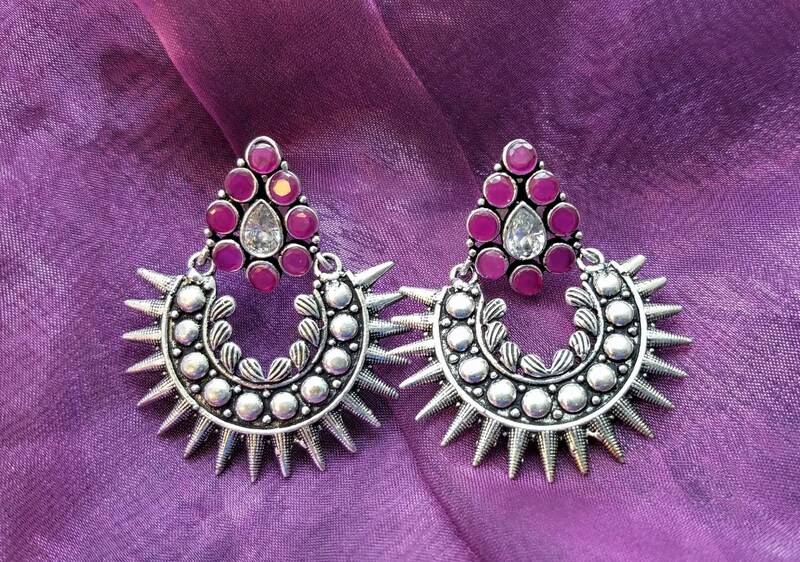 Detailed, edgy starburst pattern, crowned with a traditional elegant arrangement of faceted faux jewels. 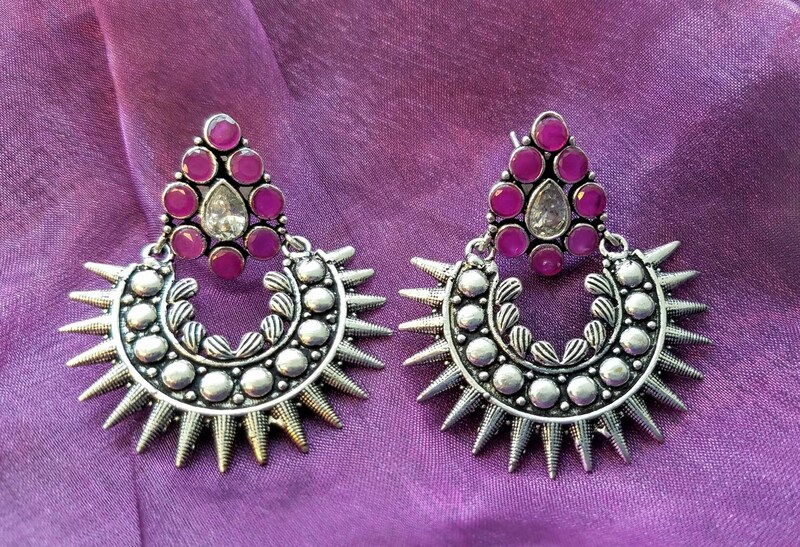 The red is a purplish red color, like that of star rubies.